The team of A.R.Murugadoss' Kaththi is currently camping in Chennai in the Valasaravakkam area. A huge set worth around 1.25 crores has been erected inside Pushpa Gardens and the team would be completing most of the indoor scenes in this set over the next month or so. 10 days of shoots have already been done out of the total planned 40 days. Kaththi is set for release later in the year as a Diwali special. 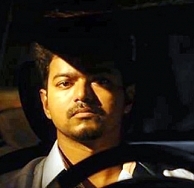 A lot is riding on this film as it marks the reunion of the blockbuster Thuppakki duo of Vijay and Murugadoss. Will AR Murugadoss Break The Myth? People looking for online information on A R Murugadoss, Kaththi, Thuppakki, Vijay will find this news story useful.